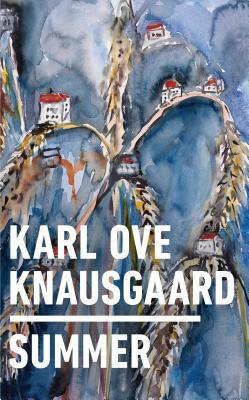 The conclusion to one of the most extraordinary and original literary projects in recent years, Summer once again intersperses short vividly descriptive essays with emotionally-raw diary entries addressed directly to Knausgaard's newborn daughter. Writing more expansively and, if it is possible, even more intimately and unguardedly than in the previous three volumes, he mines with new depth his difficult memories of his childhood and fraught relationship with his own father. Documenting his family's life in rural Sweden and reflecting on a characteristically eclectic array of subjects--mosquitoes, barbeques, cynicism, and skin, to name just a few--he braids the various threads of the previous volumes into a moving conclusion. Anselm Kiefer (1945) is a German painter and sculptor. He studied with Joseph Beuys and Peter Dreher during the 1970s. His works incorporate materials such as straw, ash, clay, lead, and shellac. The poems of Paul Celan have played a role in developing Kiefer's themes of German history and the horror of the Holocaust, as have the spiritual concepts of Kabbalah.